That’s quite a bit of “jigahertz”. So what we have under the spotlight is an engineering sample of Advanced Micro Devices’s very own FX-8130P (aka Zambezi) CPU, which is based on the Bulldozer architecture. An enthusiast from Czech Republic managed to push the 8-core chip to 4635.6MHz on air. There were blacked out screenshots, but possibly due to being an employee from an affiliated company or even AMD – we only know that the sample processor itself has 8 cores, 8MB of L3 cache, and takes DDR3-1866MHz, and is fabricated from a 32nm process. Sadly there are no details on stock speeds, stepping, nor revision. What’s astonishing is that the overclocked managed to pull off Super Pi 1M in just 1.26s compared to an Intel i7 2600K that still took over 6 seconds while being clocked at 6.3GHz. Ah, the Pentium brand that we all came to know since two decades or so and it looks like Intel isn’t retiring it any time soon. In fact they’re getting ready to launch two new chips based on the Sandy Bridge architecture within this month. The three slated chips will support dual-channel memory and are fully compatible with LGA 1155 boards. At the lower end of the spectrum is the Pentium G620, as it’s only a dual-core CPU clocked in at 2.6GHz and contains 3MB of cache – will retail for about $65. Following is the more powerful G840, and it’s also a dual-core but clocked at 2.8GHz with the same 3MB cache – priced at $75. Finally the best of the bunch is the G850 having the highest clock of them all at 2.9GHz, but sadly none of these new parts feature Turbo Boost. Although official launch is Q2 of this year, but keep an eye out as these new chips may surface and appear on retail shelves as soon as this week. Looking back at our last article, we’ll continue with discussing Intel’s SRT (Smart Response Technology) and this cool feature on the Z68 chipset uses an SSD to cache more frequently used data from an hard drive. One can expect up to a 4x increase in performance over the traditional HDD. The process of setting up this new tech requires a few simple steps to get it up and running, as you need to ensure that both the SSD and hard drive are hooked up then you need to make sure that the Intel controller default of AHCI is set to RAID in UEFI. After that you can go about installing Windows 7 to your hard drive as normal, but you can’t enable SRT until all the drivers are installed. Finally it’s just a mater of hitting the Accelerate button in the RST driver (see below). Onwards, simply select the drive you’d like to use as a cache and select the disk you want “accelerated” (would usually be C:\) then choose the mode of Enhanced or Maximized (see following image). First option Enhanced is probably your best bet in terms of being safer, and it offers better read speeds but write speeds remain the same as the HDD used. Second is Maximized and this is a form of caching since data is written to the SSD then synced to the hard drive. This mode should yield similar write speeds as what the SSD used is capable of. At the end of the day, SRT is ideal for those who can’t afford large capacity SSDs but want that solid state performance. 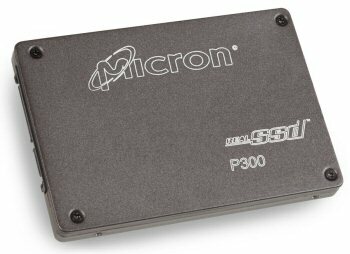 By leveraging this tech, individuals can get smaller SSDs and be able to achieve similar speeds when used in conjunction with a traditional hard drive. That’s what we’re hearing from speculation, and in fact it’s just a little over two weeks away. This particular chipset is geared towards enthusiasts, in which it will bring features like overclocking for integrated processor graphics. 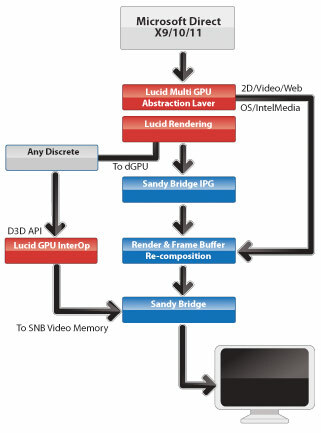 Although it’s an aspect that will probably won’t be the main selling point, but other technologies like LucidLogix’s Virtu graphics switching software definitely will – allowing one to take advantage of Intel’s Quick Sync transcoding acceleration even when using an external graphics solution. On top of that, Z68 also supposedly handles SSD caching which users take a lower capacity SSD and combine it with a traditional higher capacity hard drive for an increase in overall performance. We were wondering when Thunderbolt tech would trickle down to more common systems, and it looks like we’ll see it in their succeeding platform. Kirk Skaugen, VP of Intel Architecture Group, told everyone at the developer conference in Beijing that Ivy Bridge will have USB 3.0 and Thunderbolt (formerly Light Peak). “Intel is going to support USB 3.0 in the 2012 client platform. We’re going to support Thunderbolt capability. We believe they’re complementary,” he said, according to CNET. “We encourage all of you working on peripherals around the PC to engage on both USB 3.0 and Thunderbolt,” Skaugen also added. It’s about time! We had doubts whether Intel would ever integrate native USB 3.0 support on their chipsets since they were rather focused on pushing Thunderbolt recently, but based on the slide below – there’s a good chance there would be. Although there aren’t too many details yet, the upcoming Panther Point will in fact support Superspeed USB 3.0. While in the other camp, chipmaker AMD has confirmed that their A75 and A70M Fusion chipsets will also support this emerging standard and claiming it’ll be ten times faster (than USB 2.0) at the same time. Again there’s no exact launch date, but all this positive development is definitely a good sign! All the chip makers are moving forward in the world of SSDs by shrinking NAND technology. The two however, wants to take it to the next level by doubling down the density of their flash chips. This quite brilliant from a tech perspective, and good for consumers as well since lower density chips will result in cheaper SSDs. Starting this summer, IMFT (IM Flash Technologies, joint venture between Intel and Micron) plans to intro an enterprise-level SSD built on a 20nm manufacturing process and will be taking advantage of the PCIe standard. We remember mentioning this when they were going to showcase a working concept of this innovative technology at CES early this year, but now it has become reality. LucidLogix announced this week that their Virtu Solution are licensed out on select Intel desktop boards with the H67 and Z68 chipsets, and their Virtu GPU virtualization software will come bundled on several SKUs of genuine Intel boards. A quick recap if you’re not familiar with Virtu, it’s a software platform that allows systems to take full advantage of the media processing features that are built into the 2nd gen Intel Core CPUs and 3D gaming performance of discrete GPUs. In short, both graphics processing units can be working cooperatively to offer the best of both worlds. Formerly, external graphics solutions simply disabled on-board integrated solutions but now with Lucid’s Virtu it’s viable to run single or dual discrete GPUs and still be able to utilize the transcoding horsepower and efficiency of Intel HD graphics in 2nd gen Intel Core CPUs. Asides from Intel making Virtu available in many motherboard SKUs based on H67 and Z68 chipsets where the Virtu brand will be featured on the board’s packaging for system integrators and end users, but no solid details yet.